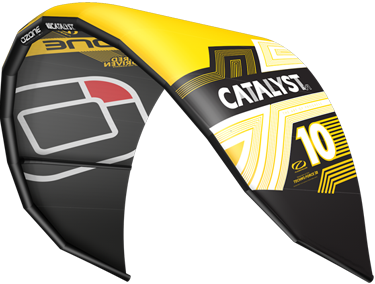 This is the second year for the Catalyst and it has been improved, even thought the 2010 Catalyst was a succes allready. It's designed for smooth handling, has a huge depower range, easy relaunch and comes with a simple but effective safety system. It comes with new inflate/deflate valves and comes with a briddle system without pulleys (simpler and improved the feedback to the bar). The new strut design improves stability. 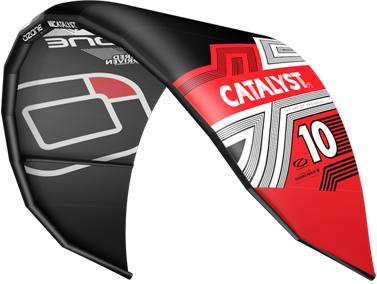 The Catalyst is the entry kite with potential. Changing the setup will give you more advanced performance. Easy to use allround kite. It's designed for smooth handling, has a huge depower range, easy relaunch and comes with a simple but effective safety system. The Catalyst is the entry kite with potential. Changing the setup will give you more advanced performance. 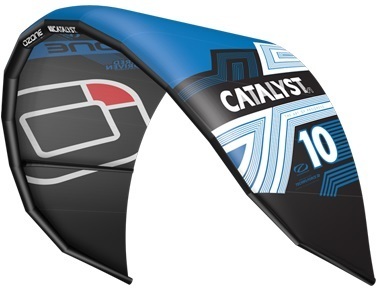 The Ozone Catalyst is a kite designed for ease of handling, a beginner kite with potential. For beginning kitesurfers the Catalyst offers some excellent characteristics; easy relaunch, gradual power buildup and good feedback to let you know where in the wind window your kite is. 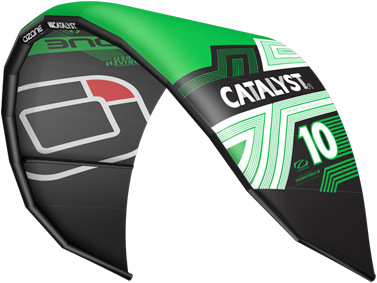 Advanced riders will find the high-end of the Catalyst interesting. It’s lift is gradual and there is plenty of feedback, so a good kite to start jumping. All-in-all a good kite to begin with and learn everything from the basics to jumps.